Your Hometown Landscaping, Hardscaping, and Garden Center. Hardscape is an attractive feature that offers many appealing options – from a rustic stacked wall to a stone fountain. Stone gives the homeowner a way to create a timeless look, for little expense. Whether you are building a new home, ready to design your dream yard, or need to install a sprinkler system, we are here to help. 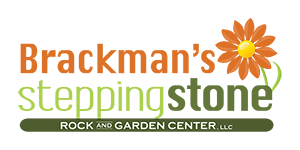 Let the experts at Brackman’s Stepping Stone Rock and Garden Center handle all your landscaping and irrigation needs so you can focus on more important tasks. Visit our Garden Center off Highway 98 in Hattiesburg for all of your gardening needs. From plants and flowers, to fertilizer and pots, our friendly staff will be ensure that you have the best gardening experience possible. They are very helpful and have very reasonable prices. I will definitely be visiting them for all of my gardening needs.